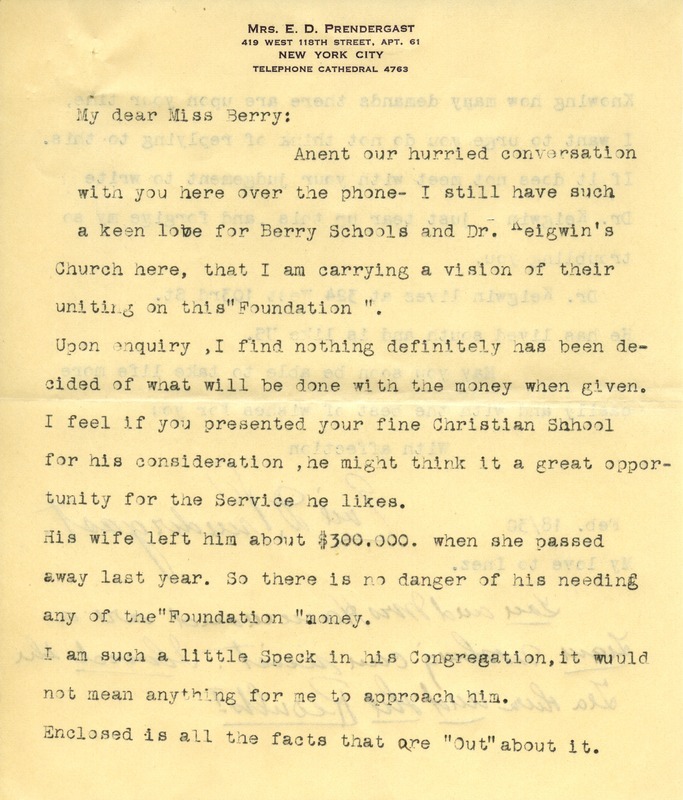 Letter from Mrs. Prendergast to Miss Martha Berry encouraging her to write to Dr. Keigwin, whose wife left him $300,000 when she passed away, and introduce him to the Berry Schools. She also sends her love to Inez. Her handwritten note at the bottom of the letter says that Miss Berry and Mrs. Hammond are a team no one can resist and mentions a tea held in New York City. 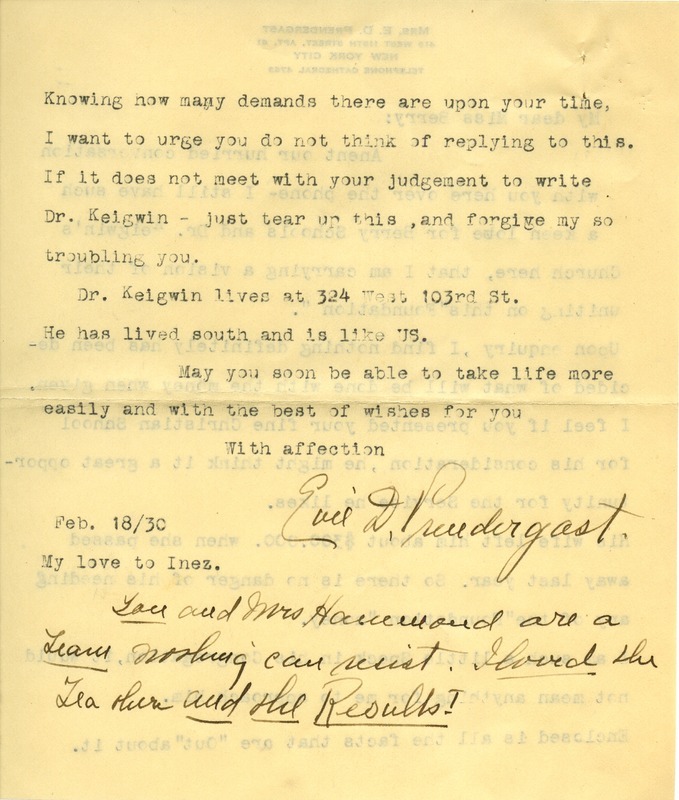 Evie D. Prendergast, “Letter to Martha Berry from Evie D. Prendergast.” Martha Berry Digital Archive. Eds. Schlitz, Stephanie A., Sherre Harrington, Chelsea Risley, Tanner Cahill, Meg Ratliff, et al. Mount Berry: Berry College, 2014. accessed April 21, 2019, https://mbda.berry.edu/items/show/13752.